Join other conference attendees and speakers for a casual, no-host dinner and make a few new friends while enjoying the fun and delicious restaurants in or Cambridge and Boston. This is your opportunity to meet fellow attendees and start friendships that can last for the week or even longer. Attendees can break into smaller groups based on where everyone wants to dine and head off to dinner. Everyone is responsible for their own dinner. All conference attendees are invited to celebrate the start of Visual Studio Live! Boston at the Welcome Reception. Join us to network with fellow conference attendees and speakers, talk with the event sponsors, enjoy complimentary drinks and hors d’oeuvres, and participate in the conference raffle. Plumb the knowledge and experience of your colleagues, conference speakers and exhibitors by participating in one of the BoF Table discussions. Tables will have a designated topic to help start discussions and interact with your fellow attendees. You may even learn a new trick or two or some great tips to take back to the office. Turn back the pages of history and relive the bustling seaport days of colonial Boston with VSLive!’s Old Town Trolley Tour. The 2-hour tour proceeds past the site of the famous Boston Tea Party and visits historic Boston landmarks such as Faneuil Hall Marketplace, the Old State House, Boston Common, Public Garden, Trinity Church, Beacon Hill, the CHEERS Bar, Fenway, Bunker Hill Monument, the celebrated war ship USS Constitution and more! 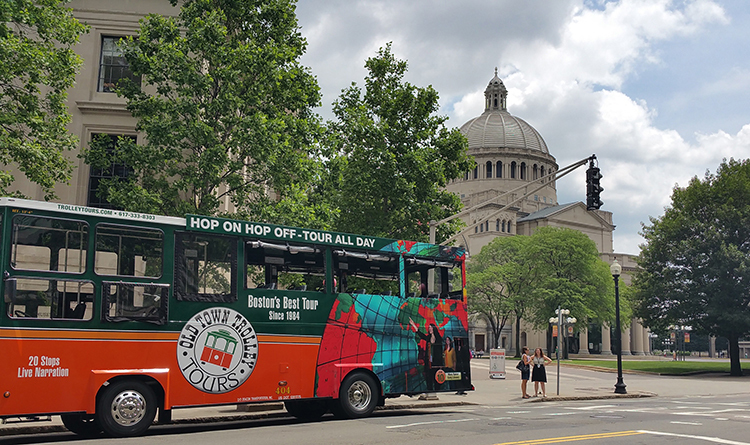 Join fellow attendees and guests, sit back and relax as the expert tour guides bring Boston history to life, weaving together colorful anecdotes, humorous stories and well-researched historical information.